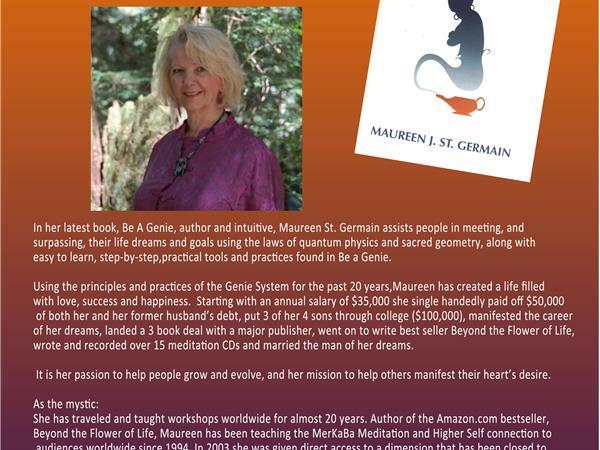 In her latest book, Be A Genie, author and intuitive Maureen St. Germain assists people in meeting, and surpassing, their life dreams and goals using the laws of quantum physics and secrets of sacred geometry, along with easy to learn, step-by-step, practical tools and practices found in Be a Genie. 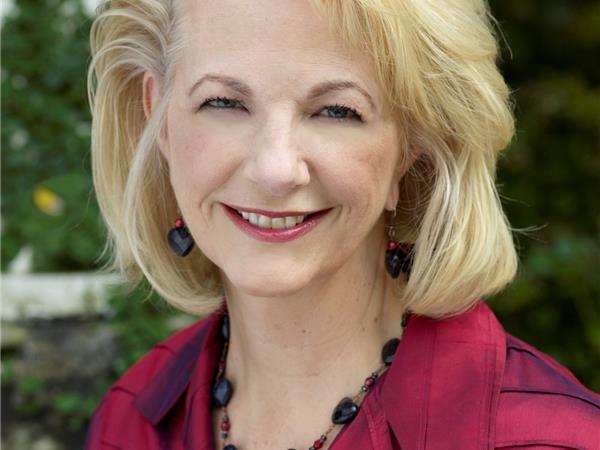 Using the principles and practices of the Genie System for the past 20 years, Maureen has created a life filled with love, success and happiness. Starting with an annual salary of $35,000, she single-handedly paid off $50,000 of both her and her former husband’s debt, put 3 of her 4 sons through college ($100,000), manifested the career of her dreams, landed a 3-book deal with a major publisher, went on to write best seller Beyond the Flower of Life, wrote and recorded over 15 meditation CDs and married the man of her dreams. 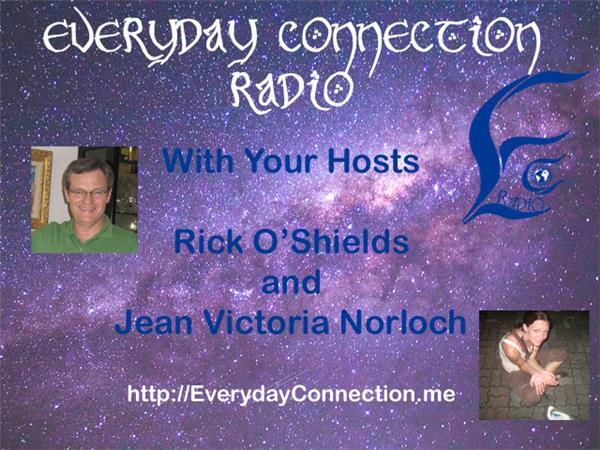 It is her passion to help people grow and evolve, and her mission to help others manifest their heart’s desire.